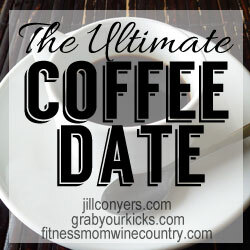 Coffee Date #4: A gorgeous holiday weekend! Thanks to unseasonably cool Fourth of July weather we’re having, we’ll definitely by having our coffee chat sitting in some outdoor cafe! 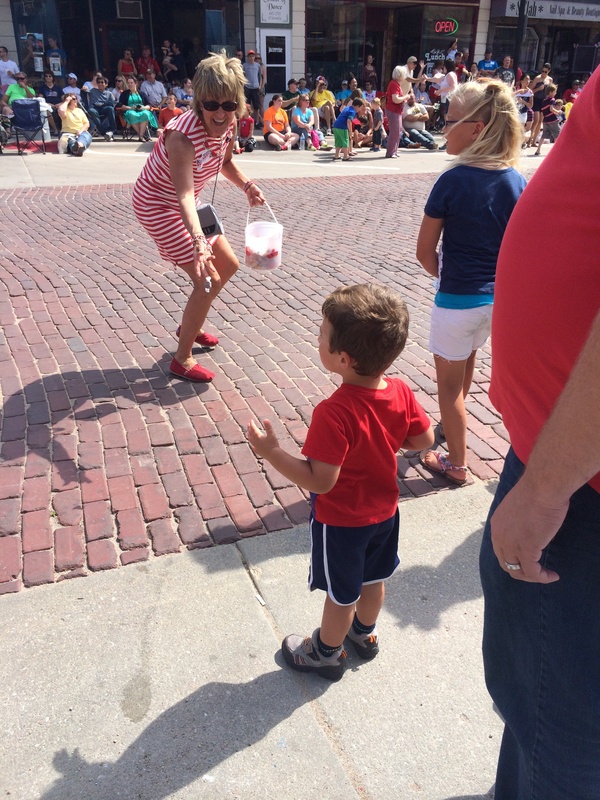 If we were having coffee this morning, we’d talk about the day I spent with my two favorite guys in Seward, NE, at a Fourth of July festival in “America’s Fourth of July City” (as they’ve proclaimed themselves). We had lots of small town fun, including a pet parade in which everyone got an award, resulting in some really entertaining awards; craft booths that were surprisingly fascinating for Oliver; carnival rides and of course lots of fair food. We were all exhausted by the time we got home but it was a good kind of exhaustion! Of course there was also a Fourth of July parade to enjoy! If we were having coffee this morning, we’d talk about how I started my day off yesterday with a 10K race. I confess, I was hoping for a PR over last fall and technically, I got one but only by 15 seconds or so. 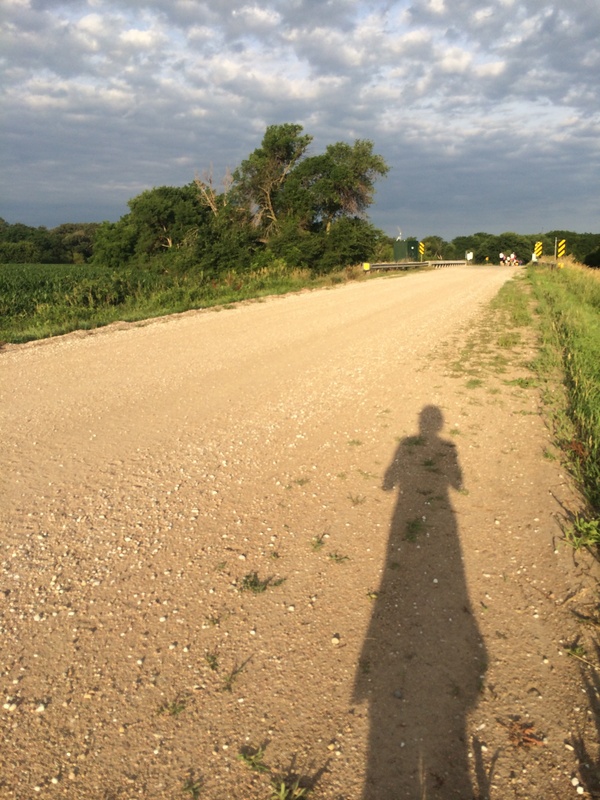 The middle third of yesterday’s 10K was gravel! I’ve never run that long on that kind of surface before and for most of the gravel portion, it was loose and unsteady either due to loose soil or gravel that wasn’t particularly packed. I thought it was in my head that I was going slower on the gravel, until I got back onto asphalt and my legs went “aaahh!” and sped up. My ankles were a lot more sore than normal after that run! I need to practice on a wider variety of running surfaces I guess. 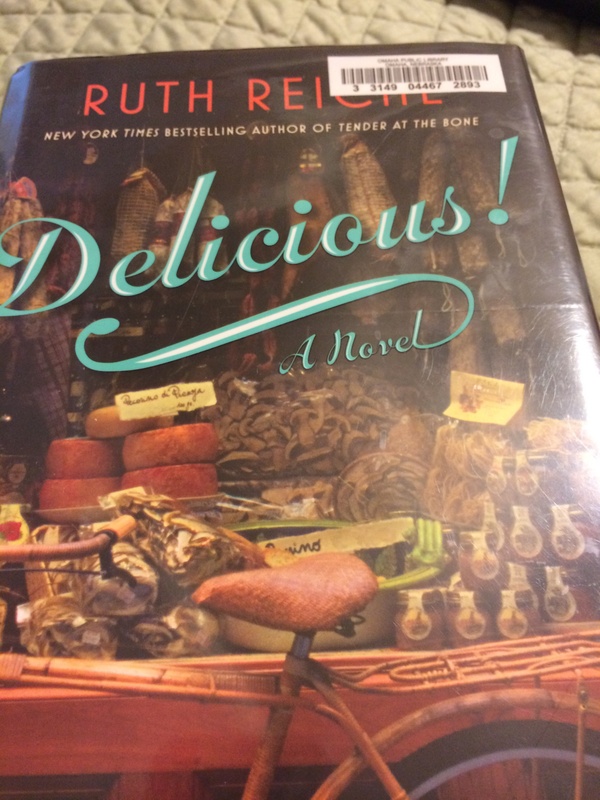 If we were having coffee this morning, I’d tell you about the book I just finished, Delicious, by Ruth Reichl. The author was a famous New York food critic and then editor of Gourmet magazine, among other things, picking four James Beard awards along the way. I really enjoyed her memoir Garlic and Sapphires, about her adventures as a New York food critic in disguise. I listened to it as an audiobook along many miles of running earlier this year, so when I heard that she’d written her first work of fiction, I was really looking forward to it. I was not disappointed. She has a definite gift for describing things she loves, in this case the New York foodie scene and wonderful food therein. I felt as if I was walking the streets of New York with the main character and experiencing all of that wonderful food along with her. Woven among this is a lovely little historical mystery, taking you back to World War II. There were a couple of fairly predictable detours, but overall it was a great summer read. It was quick, fun and I’d definitely recommend it (and am kicking myself a bit for not taking not of the gingerbread recipe before sending the book back to the library today!). Warning: Might make you hungry! Of course, after all of this, I’d love to hear about your holiday celebrations and books you’re loving and your favorite running surfaces, so be sure to share below! Thanks to Jill, Nikki and Lynda as always for hosting! Yesterday, a friend at work was super excited because she had her very blog comment. She was giddy all morning and it was very cute to see. I didn’t even realize she had a blog and can’t link it here for you to see because she’s too shy to show me. 🙂 Apparently I’m a “real” blogger so she was embarrassed for me to see her “little” blog. We ended up having a really interesting conversation about why we blog. For her, it actually started because she wanted to make a Pin about a nursing tank hack she used and thus needed a website to link. She has subsequently posted things like packing lists she uses as a mom of three, with the logic that if it is helpful to her, it’ll be helpful to others. I hope she keeps it up (and eventually tells me what her blog is so I can cheer her on!). 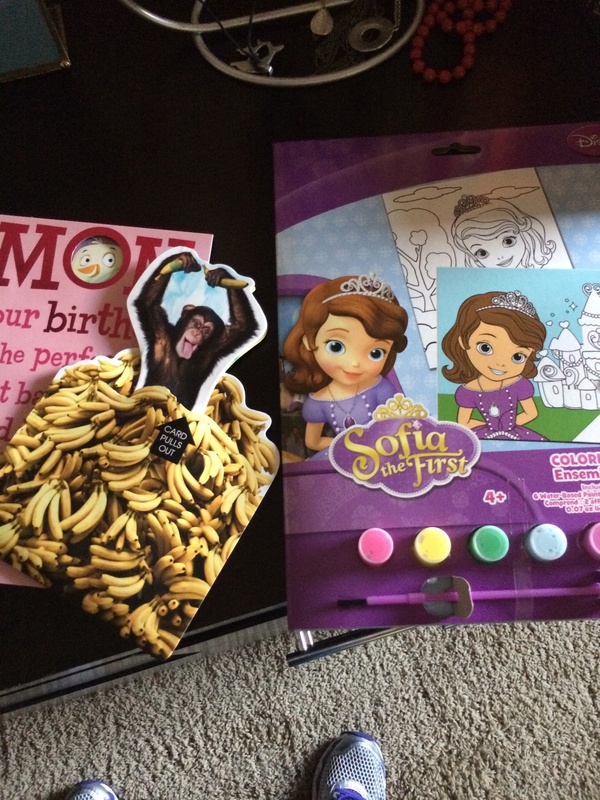 I blog for a few different reasons. – I felt like putting my training and my weight maintenance struggles out into the world would help me stay accountable to my new healthy lifestyle choices. I never really expected anyone to read it, but just writing the plans and goals down and sending them out into the world was powerful for me. – I use this space a lot as a way to work out my thoughts and struggles, similar to the journals I’ve never been as consistent with as I’d like to be. Just writing things down and sorting out my thoughts helps me figure out what my real concerns and needs are when I’m struggling with something. – In the journal above, I kept notes about my workouts and bad weigh ins and thoughts about binge episodes, like a traditional journal. 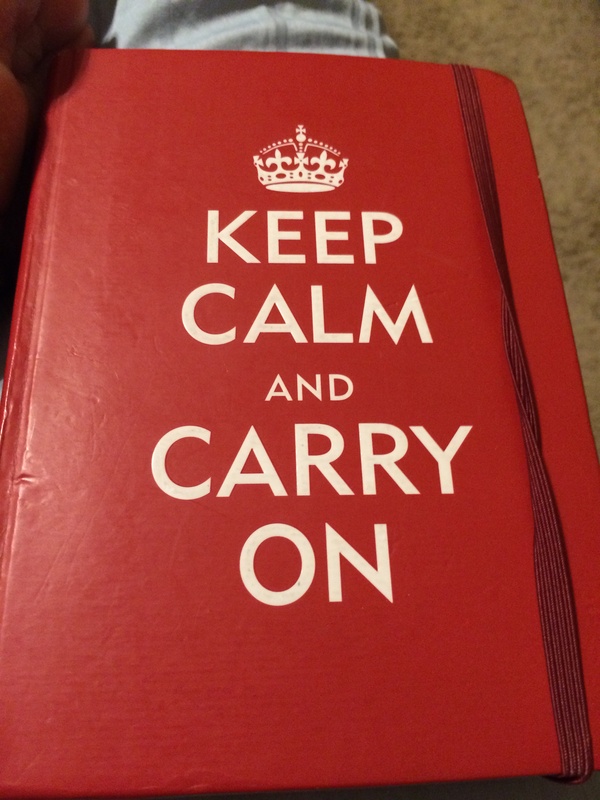 I also used it as a place to keep notes about the things I learned in reading about things like fueling runs, when to get a massage as a runner or how to deal with pedicures as a runner. The blog serves as an electronic place to keep those notes now and I search my own posts to recheck my notes when I have questions about something I know I’ve researched before. I also figure that if it is something I looked up, someone else may have that question too. I firmly believe there’s no such thing as a stupid question. – I didn’t expect to find such a great community of readers and other bloggers. 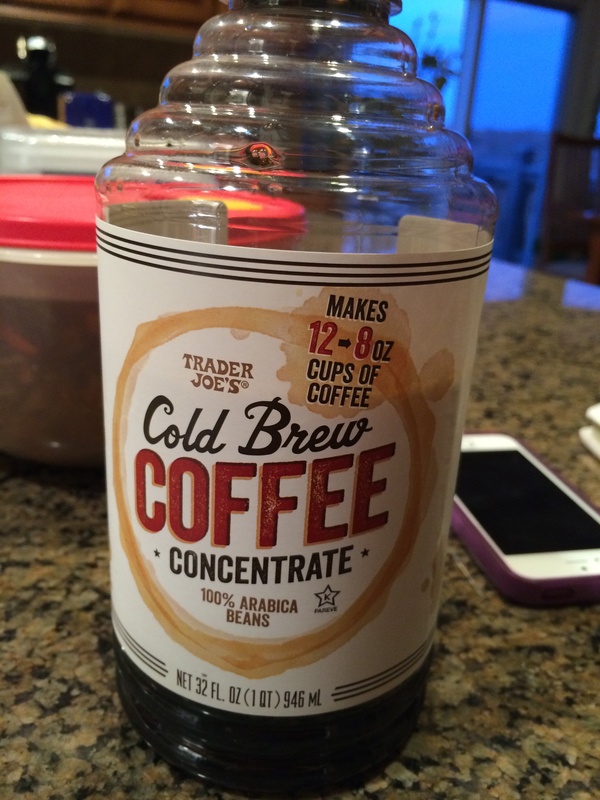 I’ve gotten so much support from you guys and gotten lots of great practical tips too (Kristin – I absolutely love the Cold Coffee concentrate from Trader Joe’s too!). I was a blog lurker and very rarely commented on blogs before I started writing myself. Now that I know the kind of community we can build through blogs, I am much more likely to comment on a blog that resonates with me. Never be afraid to speak up. We can learn so much from each other. I’m not such a “real blogger” that I was able to answer any of Kallie’s questions about how to find out many people really see the blog or how they get to it (from Google, etc) or anything like that. Maybe one day I’ll spend some time optimizing things for search engines or Pinterest or those other bloggy things, but probably not anytime soon (although I know there are great resources with that kind of information out there). In the meantime, we’ll all stumble though this together. Given my goals with the blog (accountability, community, processing, knowledge sharing), I’m okay with being an amateur blogger. If you blog, why did you start? What has surprised you about the process? If you’re a blog reader, how did you get started reading blogs? I think I started as a blog reader when I was pregnant and Googled something that brought me to Pioneer Woman and Young House Love, both of which I still enjoy today.